The global ad market is on course for 4.6% growth this year, up from 3.9% growth last year, according to ZenithOptimedia’s new Advertising Expenditure Forecasts, published this week. Global advertising expenditure will total US$579bn in 2016, and will exceed US$600bn in 2017, reaching US$603bn by the end of the year. The global economy faces clear challenges such as the ongoing slowdown in China and recession in Brazil and Russia, the humanitarian disaster originating in Syria, and uncertainty over the future of the European Union – notably continuing fragility in Greece and the possible departure of the UK. But advertisers’ confidence has remained largely unshaken, and our forecasts for global growth in 2016 have barely changed since we published our last forecasts in December (when we forecast 4.7% growth this year). 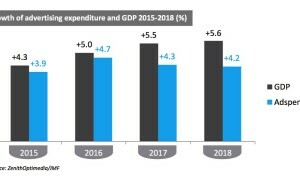 There are three main reasons why we are optimistic about the prospects for global adspend growth: special events this year, rapid recovery from the markets most affected by the eurozone crisis, and the emergence of rapidly growing markets that are now opening up to international advertising. ZenithOptimedia identifies Thirty Rising Media Markets with long‐term potential for rapid growth. In the longer term, many smaller advertising markets are now opening up to international advertising, and have the potential to growth at double‐digit rates for many years to come. ZenithOptimedia also publishes a new report, called the Thirty Rising Media Markets, which looks at a selection of 30 up‐and‐coming markets for the first time. The regular Advertising Expenditure Forecasts report surveys 81 key advertising markets across the world. For the Thirty Rising Media Markets it was decided to look a bit further and identify advertising markets that are developing quickly and are starting to rival the scale of some of the established 81 markets. ZenithOptimedia estimates that advertising expenditure across these 30 markets totalled US$7.7bn in 2015. These 30 markets vary widely in nature: in size of population, openness to international business, diversity of economic activities, productivity, and geographically – 16 of the markets are in Africa, seven in Asia, six in Latin America and one in the Middle East. What they share is that their economies are growing rapidly in the long run, and that their advertising markets are growing even faster. ZenithOptimedia forecasts advertising expenditure in these 30 markets to grow at an average rate of 15% a year between 2015 and 2018 – more than three times faster than global average – and to increase by US$3.9bn (a sum equal to the current size of Sweden’s ad market) to US$11.6bn. Advertising accounted for 0.37% of GDP across these 30 markets in 2015, well below the global average of 0.70%, highlighting their long‐term growth potential. 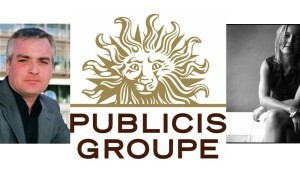 The ranking of the world’s largest ad markets is currently very stable. 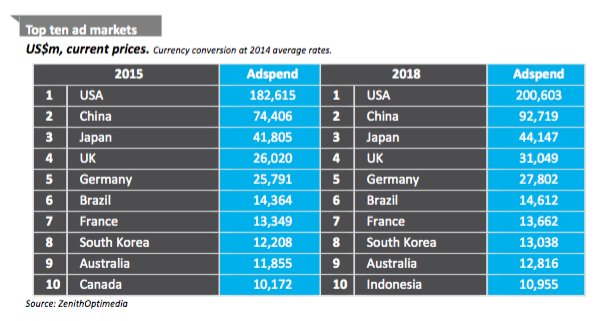 The only change ZenithOptimedia expects between 2015 and 2018 is for Indonesia to displace Canada as the tenth‐largest ad market. Television is currently the dominant advertising medium, attracting 37% of total spend in 2015. ZenithOptimedia expects the internet to overtake television to become the largest medium in 2017. Looking at the ad market as a whole, including search and classified, ZenithOptimedia says television’s share peaked at 39.5% in 2012, estimates it at 37.2% in 2015, and expects it to fall back to 34.1% by 2018.